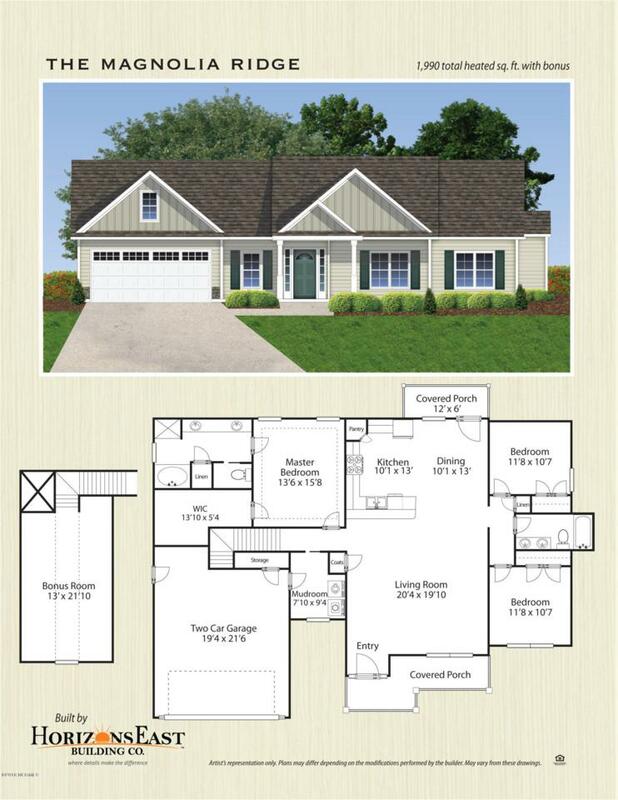 Introducing the ''Magnolia Ridge'' floor plan at Waterford Ridge! This new construction home offers 3 bedrooms & a bonus room, 2 bathrooms and a large 2 car garage at approximately 1,990 heated square feet. Located in a quiet country setting yet only minutes to local bases, schools and shopping! Featuring 30 year architectural shingles, low maintenance vinyl siding, stone accents, energy efficient heat pump, fully sodded front yard, and professional landscaping. Interior features include designer inspired paint, flooring, lighting, cabinets and counter tops. In addition, you will enjoy 9' smooth ceilings, ceiling fans in the living room and master bedroom, plus stainless steel appliances! Last but not least, you can relax knowing that your builder guarantees everything for the first year!